With Easter less than a month away, I thought it was time to decorate the house for Easter. I have to admit it felt a little strange pulling out all my bunnies, eggs, and pastels when there's still snow on the ground. But I figure why not make it feel more like Spring, even if it's only on the inside. 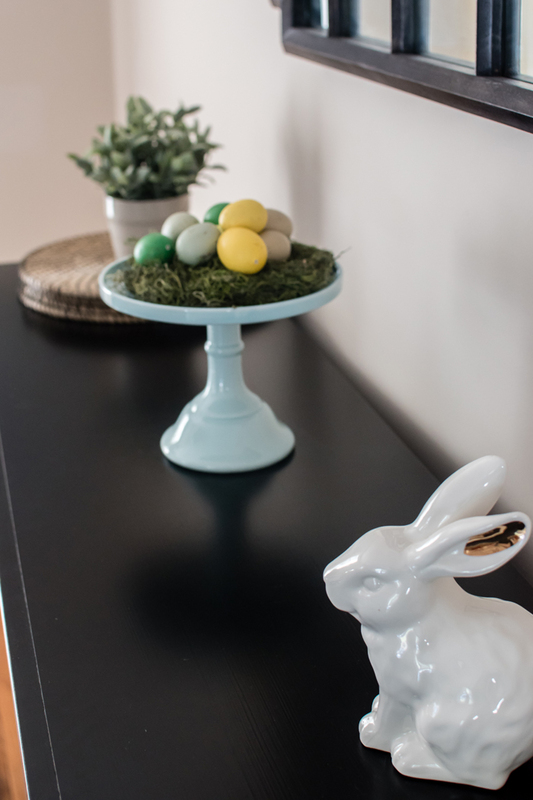 And the best part is, after Easter is over, I can remove the bunny and egg decorations and still have some really pretty decor perfect for all of Spring. 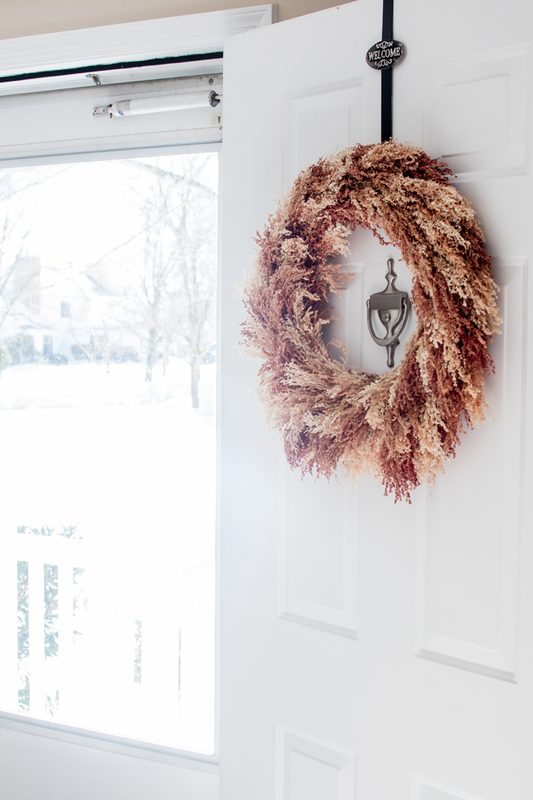 When decorating for any holiday, I usually stick with the living room and dining room and add a wreath to the front door. First up is the living room. When we lived in an apartment I couldn't wait to have a fireplace. Not because I wanted to sit by a roaring fire (we have never used this one for it's real purpose), but because I was desperate to decorate a mantel. And I'm happy to report that I still love switching up my mantel decor based on the holiday/season. Just like last year, I hung my egg garland, put up my blue candles and pots of fake grass. But this year, I switched out the vases for these pink ones I got for my birthday last year. I love how the pinks and blues from the garland are repeated in the candles and vases. Over the years, we've collected quite a few stuffed bunnies. They really are the perfect addition to an Easter basket. 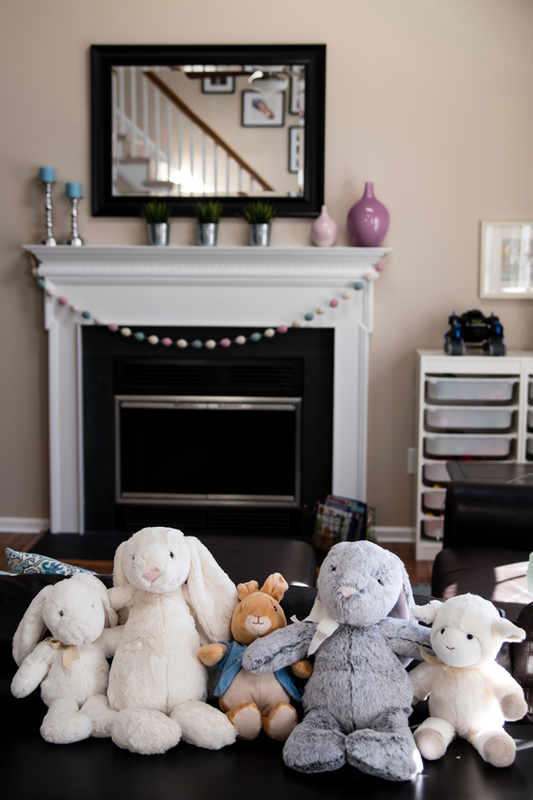 Many of these are from Pottery Barn Kids, but the Jellycat bunnies are some of my favorite... and softest! While we don't keep them out year round, I love pulling out these super soft stuffed bunnies (and sheep), and displaying them as some kid friendly "decor". 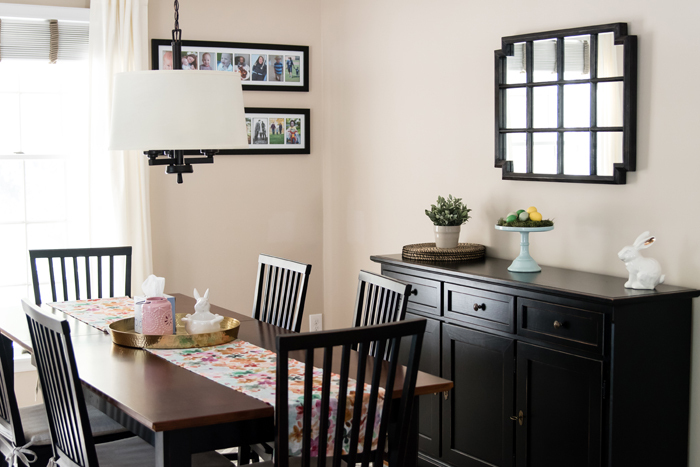 As for our dining room, I kept with my favorite decorating formula. Since we use our table for much more than dining (think game boards, puzzles, and Lego making), I prefer not to "set the table". 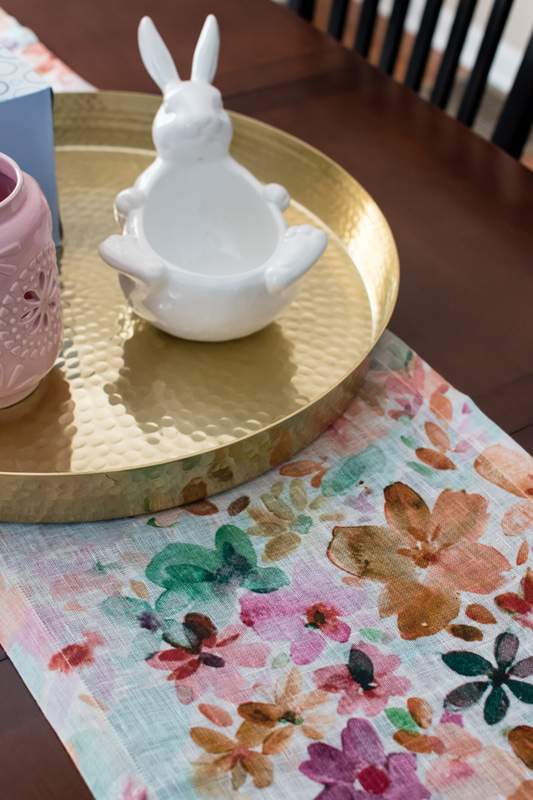 Instead, I cover the table with a seasonally appropriate runner and add my new favorite gold tray filled with pretty decorative accessories as well as the necessities, like a box of tissues (cause Noah always seems to have a runny nose when we are in the middle of a game!). I've had this bunny candy dish for years and love filling it up each year. It must be a popular item, because Pottery Barn still carries it at least 6 years later! I'm actually shocked I haven't picked up any Easter candy yet... I definitely plan to remedy that situation as soon as possible! And can we talk about this runner!?! Another gift for my birthday last year that I was so happy to take out this Spring. I love the delicate material, but my favorite part is definitely the beautiful floral print. 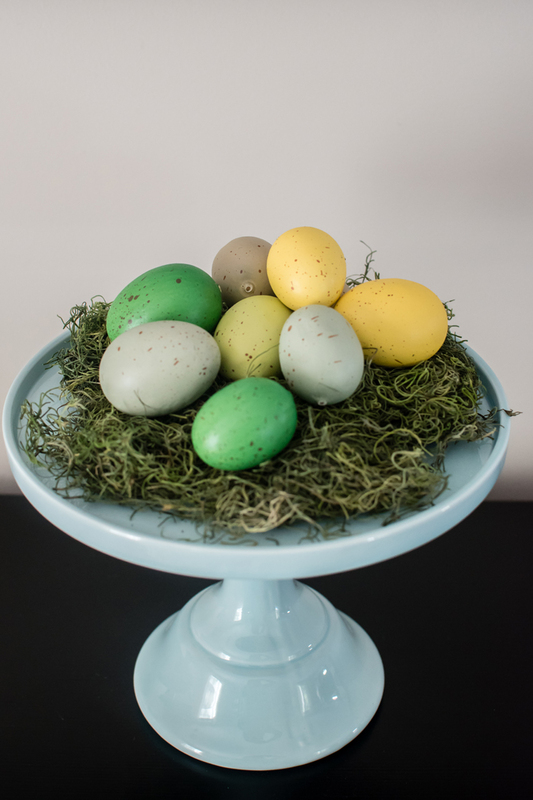 Another repeat decor item is my cake stand topped with a nest of eggs. 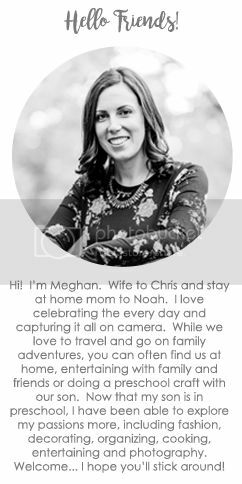 If you'd like to make your own, I shared exactly how I made mine in last year's post. And if you are extra crafty, you could even paint your own eggs! Another piece of decor that I bought last year is this pink wreath. I knew it had faded when I was putting it away last year, but I didn't realize how much until I compared these photos side by side. 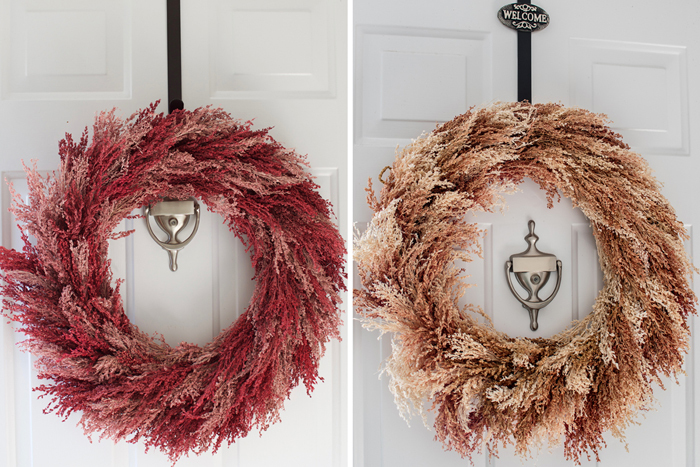 While I love the amount of sunlight our house gets (especially for indoor photography reasons), I have a real problem with fading wreaths. My boxwood wreath looks so horrible after one year that I am embarrassed to use it again. While I love how vibrant this pink wreath was when I bought it, at least this one looks like it could have been light pink all along. I wonder what it will look like by next year!?! Do you decorate for Easter??? 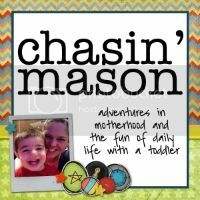 *affiliate links may be used, please see my disclosure. Beautiful! I am swooning over your table runner and I definitely think your bunny needs a friend :). Why is it that we both wish we had bought two, lol! You did such a great job! So far I've gotten my mantel done. Going to work on my door wreath next...Love the little touches you put down, like the little platter with grass and eggs. Stopping by from the link up. I am loving your table runner. And as always I'm jealous of the wonderful light you have to photograph in. I love the table runner and the bunnies. 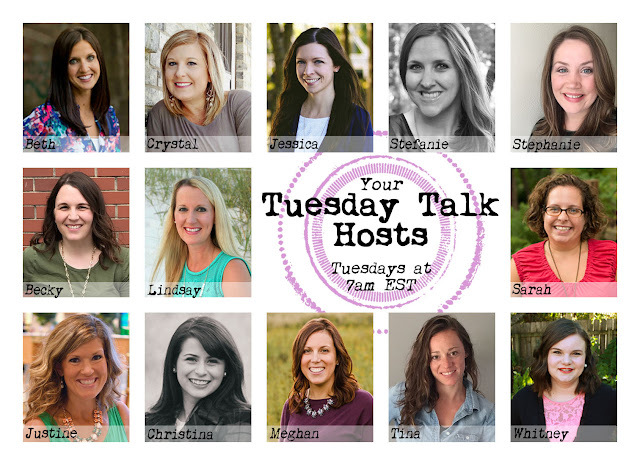 Thanks for the fun decor ideas! So gorgeous! 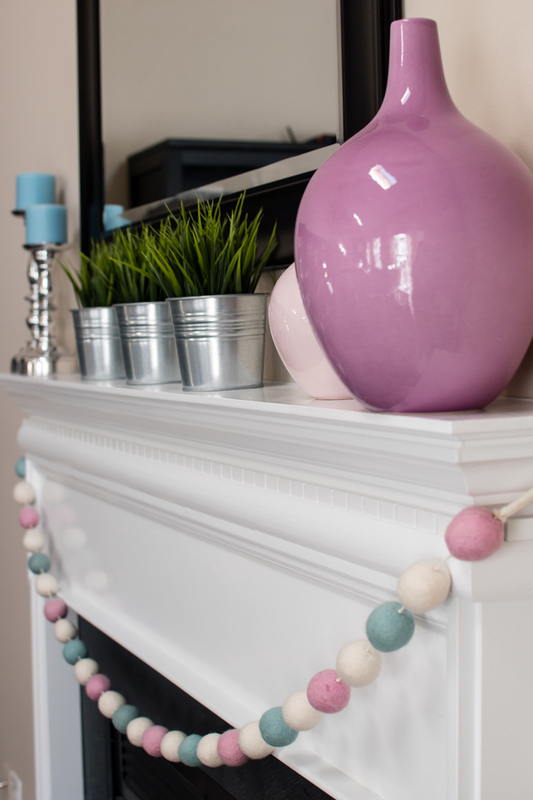 I love your mantel! I just pulled out our Easter decorations today! And it was then that I realized I don’t have many at all. I don’t know how because Easter is one of my favorites. Looks like I need to go shopping soon! I adore everything you have! I need to get busy making an Easter wreat! Your color palette is just perfection. And that table runner is just gorgeous! You got some great gifts for your birthday last year. 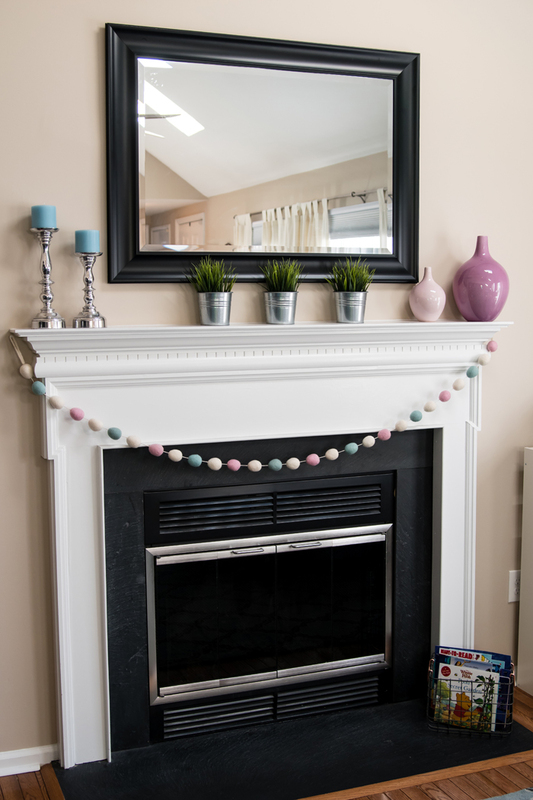 I love pastels, so Easter decor is so me of my favorite! Those vases are gorgeous! Give me all the rainbows! 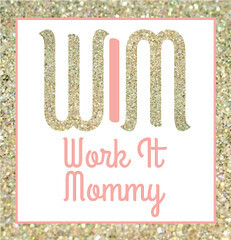 Weekend Recap | Celebrating 33!